Michael Collins 10 Year Old single malt has been made from lightly peated barley imparting a slightly smoky taste to the whiskey. 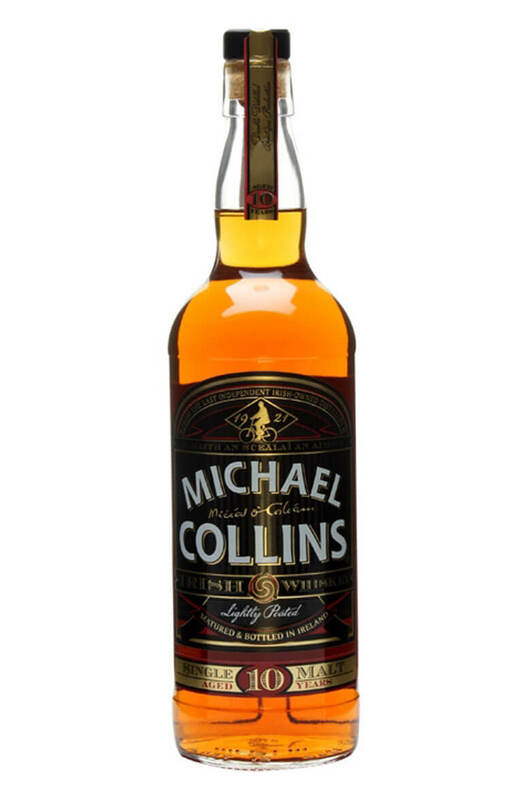 Palate Wonderfully balanced, dry yet fruity, with a long, subtly sweet smoky finish, Michael Collins is both a luxurious pleasure and a testament to Ireland. Types of Barrel used for Aging Exclusively matured in ex-Bourbon barrels. Style Double-distilled, lightly peated single malt.